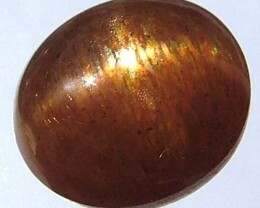 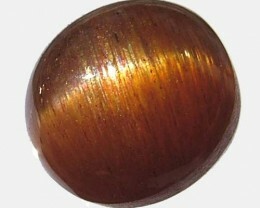 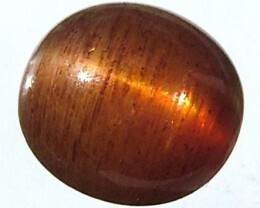 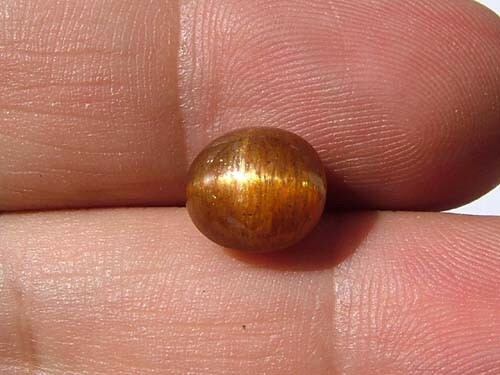 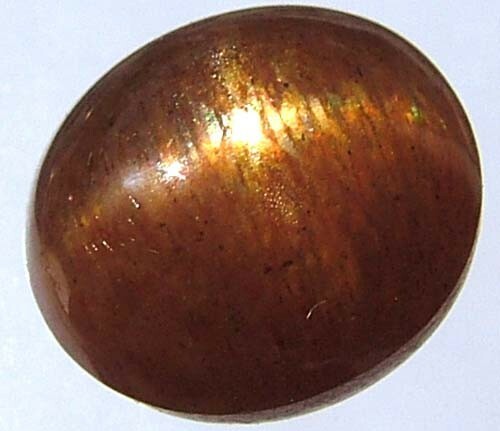 This stone was selected due to its stunning cats eye roll.Ideal as a ring stone.The stone is more orange in appearance than the picture shows.The stone was mined in india.The presence of copper gives it a rich golden appearance. 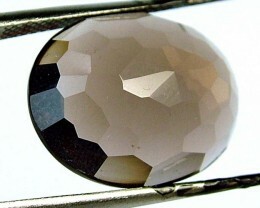 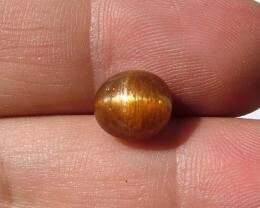 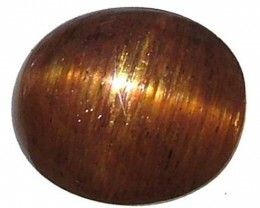 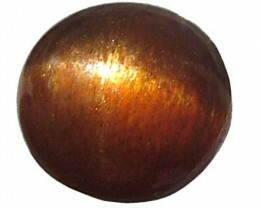 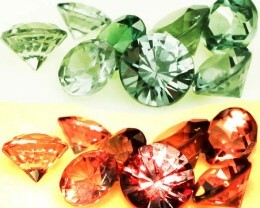 Sunstone is a gem variety of oligoclase feldsper. 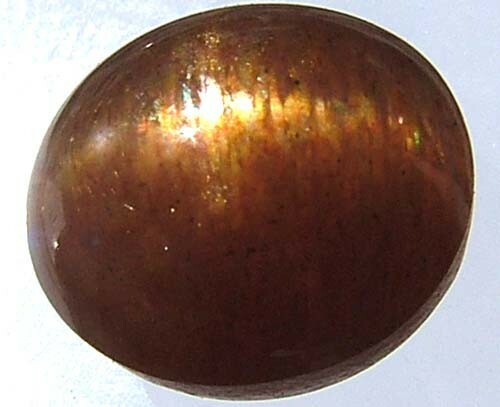 Oligoclase is a variety of plagioclase feldspar, which is itself an isomorphous mixture of albite (sodium aluminium silicate) and anorthite (calcium aluminium silicate). 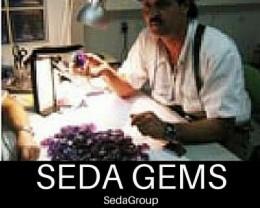 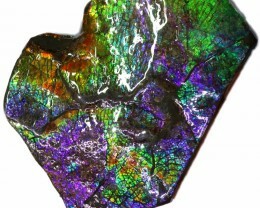 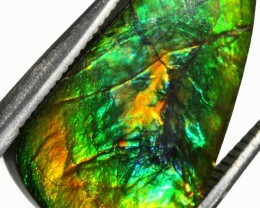 In common with other feldspar gems, it displays a schiller of coloured light, caused by inclusions or its crystal structure creating interference effects of light. 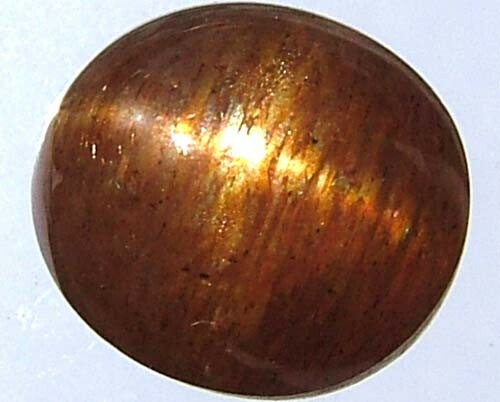 Sunstone is a rich golden or reddish brown colour, with plays of red yellow and orange light, sometimes also with green, caused by the inclusion of microscopically thin plates of goethite or hematite.